A little smoke & haze, but otherwise sunny and hot out there across the North State today. 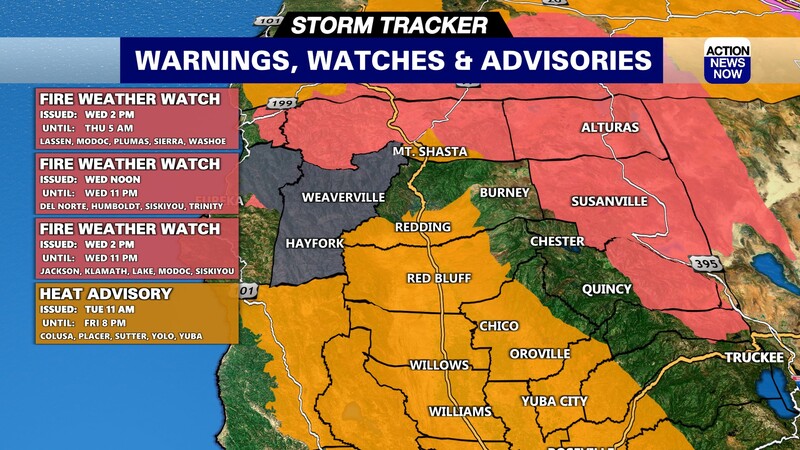 Chico, Calif.-- This week, plan on warm and dry weather continuing, and unfortunately, also plan on areas of smoke and haze from wildfires to persist. 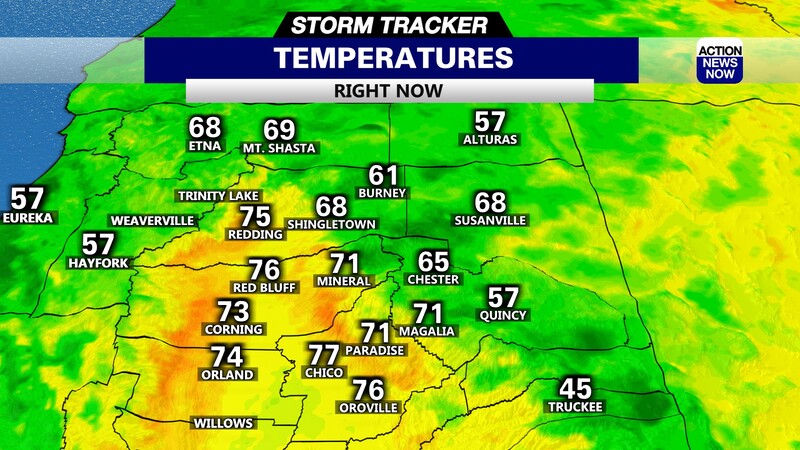 Today, clear skies as we began the morning in the 40s in the mountains, 60s in the valley areas for our lows. 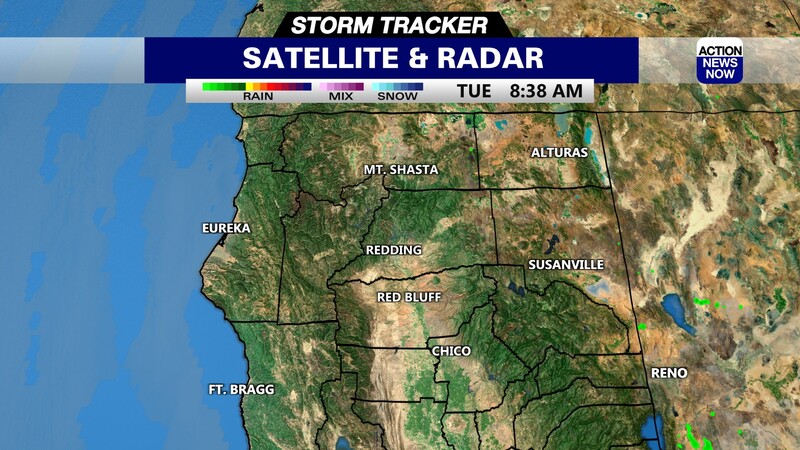 To the Southeast of our area, we have a chance for thunderstorms this afternoon in the Sierra south of Lake Tahoe. We'll see temperatures actually get a bit warmer toward Friday from eastern Pacific ridging. We'll cool down by the end of the weekend, though, as a slow trough develops over the Pacific and west coast Sunday through early next work-week. Daytime highs start out just a bit above normal Sunday dropping to a little below normal by Tuesday. Stable conditions, which means we're not expecting a chance of showers or thunderstorms next week. One week out, we're looking at below normal temperatures and actually chance for showers in some areas over the North State.